Hardy Zones 3-9 Attracts Hummingbirds Fragrant Mature Height: 6-8' Immediate shipping in 2x3" pot. Dormant shipping in winter and early spring months. 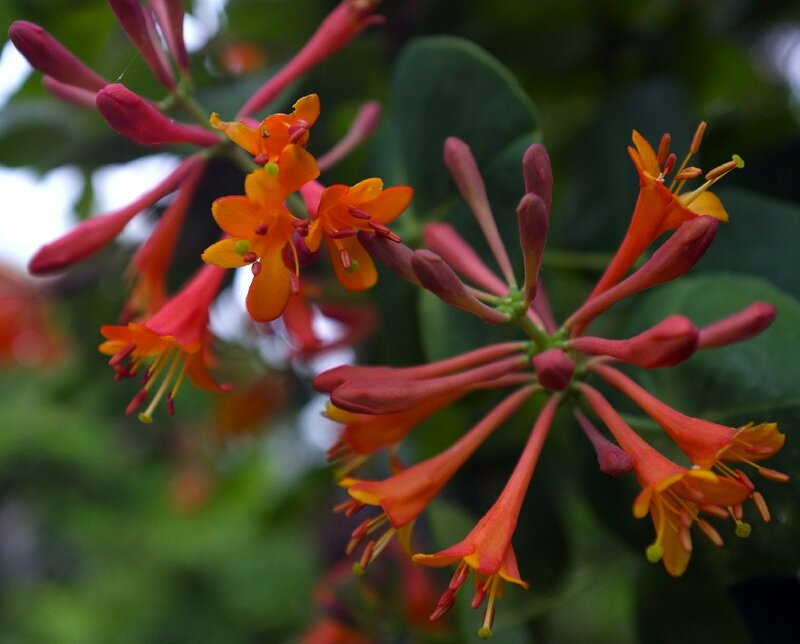 HONEYSUCKLE: The genus Lonicera contains more than 200 species worldwide and is distributed in temperate and subtropical regions of North America, Europe, North Africa, and Asia. Most of the species are small trees or shrubs. Honeysuckle is cultivated in private gardens and in cities as an ornamental because of its large, fragrant flowers and brilliant red fruits. Long blooming season, early summer through mid fall, of showy tubular flower clusters; backed by attractive blue-green foliage. Handsome, dense vine for fences, arbors, even as a ground cover. Long-lasting red berries follow the blooms. Deciduous. Full sun. Fast growing stems to 10 to 20 feet long, 10 feet wide. Attracts hummingbirds and butterflies.